A typical low-carb diet limits the daily intake of carbohydrates to between 60 and 130 grams, while a ketogenic diet tends to stay below 30 grams of carbohydrates. This is done by excluding or limiting most grains, legumes, fruits, bread, sweets, pasta and starchy vegetables from the diet and replacing them with added fats, meat, poultry, fish, eggs, non-starchy vegetables, nuts, and seeds. When we eat in this way, our bodies begin to change dramatically — especially for those who habitually eat plenty of carbohydrates with each meal. Not all of these changes, however, are going to be positive. When carbohydrates are restricted, it is stressful for the body because it must find another way to fuel itself. This can cause side effects, like nausea and headaches, that is commonly called the “keto flu”. The lack of carbohydrates will also lead to fluid and mineral loss and hormonal changes that can cause health issues if not addressed. It is important, however, to consider how common these symptoms actually are. In studies that put obese patients on a ketogenic diet for 6 months or longer (up to two years), no side effects or complications were reported. People on the opposite end of the activity spectrum like marathoners, Ironman competitors, and cyclists have been on a ketogenic diet for up to 3 years without any reported side effects. In fact, the ketogenic diet helped them burn more fat for fuel than athletes who were on a high-carbohydrate diet. Even ketogenic diets used to treat epilepsy in children rarely lead to serious complications. The research on children does suggest, however, that they should take magnesium, zinc, vitamin D, and B vitamins as a prophylactic. Researchers also suggest that children should take trace minerals after two years of the ketogenic diet. Although major side effects are rare on low-carbohydrate diets —even after three years of sticking to the diet — we must understand what this kind of diet does to the body. With this knowledge, we can prevent or relieve almost all potential side effects and feel better on a low-carbohydrate diet than we did while eating more carbohydrates. When you first start a low-carbohydrate diet, your body will look for more sugar to burn for fuel. Without getting sugar from food, your blood sugar levels decrease and your body increases its cortisol levels. Cortisol is a glucocorticoid hormone that is released by your adrenal glands to ensure you have enough energy to survive. When you have low blood sugar levels, your brain sends a signal to your adrenal glands to release cortisol. The cortisol stimulates a process called gluconeogenesis, which is like a magic trick that the body uses to convert protein and fat into sugar. Eventually, the body will adapt by burning fat for fuel instead of protein — a process called ketosis. Ketosis is the body’s way of preserving muscle mass and glycogen during times of carbohydrate and/or protein restriction. This, however, doesn’t happen right away. It may take a couple of days before your body enters into ketosis, which will leave you feeling stressed, fatigued, and weak in the mean time. In theory, it seems like a bad idea to restrict carbohydrates because of the stressful burden it puts on the body. Yet, research doesn’t agree with this theory. One specific study found that the cortisol increase on a ketogenic diet was insignificant when compared to the cortisol levels of people on moderate and high-carbohydrate diets. Another concern with low-carbohydrate diets is the build up of excess ammonia in the body, which can cause kidney and brain damage. Theoretically, this makes sense because ammonia is created as a by-product when we use protein for fuel, but what does the science show? In case studies done on patients with genetic defects that reduced their ability to process ammonia, the ketogenic diet was well tolerated and still effective. Other studies were done on healthy individuals who were on the ketogenic diet for 6 months or less and there was no evidence of kidney damage. Before we leave the topic of stress and cortisol, it is important to mention the effects that cortisol has on your mineral levels. When cortisol is released in response to the stress of carbohydrate restriction, it prevents cells from releasing sodium and accelerates the rate of potassium excretion. This can lead to constipation, fatigue, and weakness — three of the most common side effects caused by a low-carbohydrate diet. The small increase in cortisol release, however, is not solely responsible for the fluid and mineral loss that is caused by low-carbohydrate diets. We briefly discussed how low-carbohydrate diets can trigger the release of more cortisol which leads to the loss of potassium, but that’s not the only effect that restricting carbohydrates have on our mineral and fluid levels. Low-carbohydrate diets act as a diuretic in many other ways by increasing the excretion of fluids and minerals — not just potassium. This is why one study sites dehydration as the most common early-onset complication of a ketogenic diet. Insulin is a hormone that lowers our blood sugar when it is too high. Its main job is to shuttle sugar into cells so that they can use it as fuel and store the excess sugar as fat. Insulin also acts on the kidney to promote sodium reabsorption. In people who restrict carbohydrates, insulin levels tend to be much lower. This is part of the reason why low-carbohydrate diets are beneficial for people with diabetes and obesity. Unfortunately, it is also the reason why low-carbohydrate diets have a diuretic effect. This is because low levels of insulin lead to less sodium reabsorption. The sodium will then draw more fluid into the kidney to be ready for excretion. This is unlikely to lead to low levels of sodium, especially if you have salt on your food. 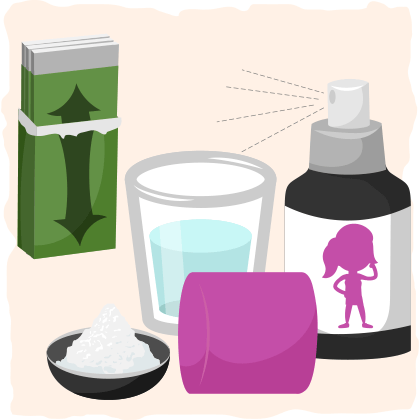 But if you have symptoms like nausea, headaches, confusion, and fatigue that don’t go away, it is best to increase your unrefined salt and water intake. The sodium will then draw more fluid into the kidney to be ready for excretion. This is unlikely to lead to low levels of sodium, especially if you have salt on your food. 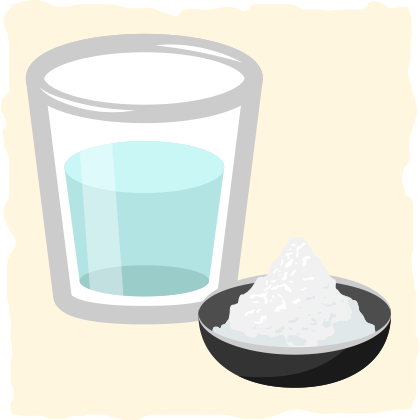 But if you have symptoms like nausea, headaches, confusion, and fatigue that don’t go away, it is best to increase your unrefined salt and water intake. Humans can handle food shortages with some assistance from liver and muscle glycogen — the storage form of sugar in the body. Once we start a low-carbohydrate diet, our body tends to rely on glycogen for energy. For each gram of glycogen used as energy, twice this mass is lost in the water. This is because glycogen (as well as all other carbohydrates) retain and attract water. Once the body enters ketosis, the body is finally able to spare glycogen, but the water loss does not stop. The ketones that are created by the process of fat burning will also lead to more water excretion. When you are on a low-carbohydrate diet, you will have lower insulin and glycogen levels and higher ketone levels. This will cause your body to retain much less water and fewer minerals than it did before. This is why it is imperative to maintain adequate fluid and mineral intake, especially in the beginning of a low-carbohydrate diet. Dehydration and mineral depletion are usually the main culprits for the side effects of a low-carbohydrate diet. With some extra water, salt, and adequate vegetable intake these side effects are likely to disappear. After the body enters ketosis, however, other changes will arise that may impact your health. When we burn fat as our primary source of fuel, our cells create much less carbon dioxide than they would when burning sugar. One study confirms this fact of biochemistry by discovering that ketogenic diets led to a significant reduction in carbon dioxide output compared to a Mediterranean diet. The researchers even suggest the ketogenic diet as a potential treatment for respiratory issues like Chronic Obstructive Pulmonary Disease. We must not forget, however, that carbon dioxide is essential to many processes in the body. Carbon dioxide helps us use oxygen more efficiently, dilate blood vessels, and protect cells from damage. It also aids vitamin K in helping us with blood clotting, bone and teeth mineralization, growth, energy utilization, and hormonal health. Does this mean that only people with respiratory issues should be on a low-carbohydrate diet? After looking through the research, it’s easy to find a clear answer. No studies on low-carbohydrate or ketogenic diets reported any complications related to lower carbon dioxide levels. This is likely to be due to the fact that the body has a powerful buffer system that keeps your blood pH and carbon dioxide at healthy levels. The long term effect of having slightly lower than normal carbon dioxide levels, however, is not known. 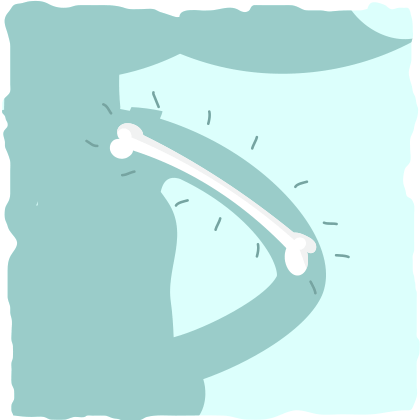 The most prominent side effect that could be attributed to low carbon dioxide levels is bone mineral loss. 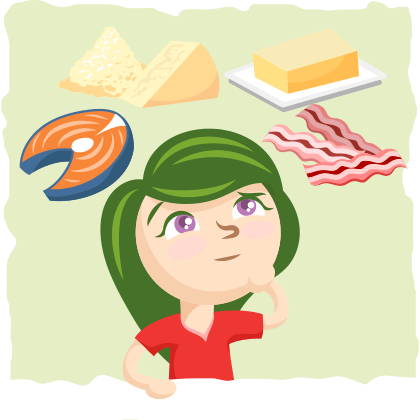 In children, ketogenic diets have been shown to cause a decrease in bone mineral content. After looking closely at the study, however, it becomes clear that this finding is better explained by the fact that the children had low levels of calcium and vitamin D intake. It is unclear what may have happened if they had adequate levels of calcium and vitamin D, but it is likely that they would have experienced little to no bone mineral loss. Studies on adults, however, show that the ketogenic diet has no effect on bone mineral content. This indicates that having slightly lower carbon dioxide levels won’t lead to bone loss if adequate vitamin and mineral intake is maintained. Ketones that are formed during low-carbohydrate diets may even have a positive effect on bone health. A recent animal study found that ketones have a protective effect against osteoporosis in microgravity. This is a stretch, but ketones may be responsible for the bone preservation that was found in people who were on a ketogenic diet. If having lower levels of carbon dioxide still concern you, breathe into a paper bag — seriously. By breathing into a paper bag for one to two minutes you will increase your carbon dioxide levels. This was actually shown to promote blood flow through the tiny blood vessels of the retina, so it is likely to cause positive changes throughout your body as well. Your body has the ability to adapt to low-carbohydrate diets and the lower amount of carbon dioxide that is created from fat burning is not likely to cause negative effects. 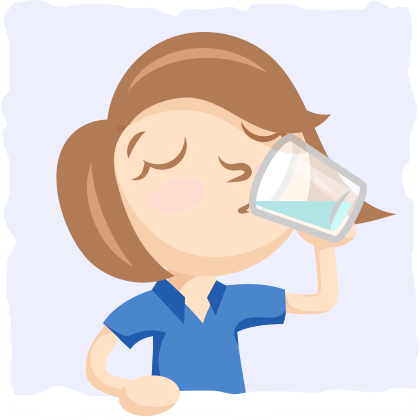 If you do experience negative side effects, it most likely due to dehydration and mineral loss that we discussed either. Occasionally, the side effects can persist due to the impact that low-carbohydrate diets have on thyroid health. Carbohydrates, carbon dioxide, and thyroid function are intimately connected. When there are adequate levels of glucose and glycogen in our liver, the production of T3, a thyroid hormone, increases. When T3 is released, it stimulates development, growth, metabolism of almost every cell of the body. When there are lower levels of glycogen and sugar in the liver, epinephrine, norepinephrine, and cortisol are secreted from the adrenal glands to regulate heart rate, body temperature, and mobilize energy. If this becomes the bodies primary strategy for energy production, it will lead to muscle loss, impaired brain function, and excess organ stress. To prevent your thyroid from crashing on a low-carbohydrate diet, it is important to consume enough calories from fat and protein. This will give your body enough fuel so that it can spare its glycogen, maintain thyroid function, and save you from unnecessary stress. Fiber is something that is commonly overlooked on low-carbohydrate diets because we tend to focus on all the bacon, steak, and cheese we can eat. 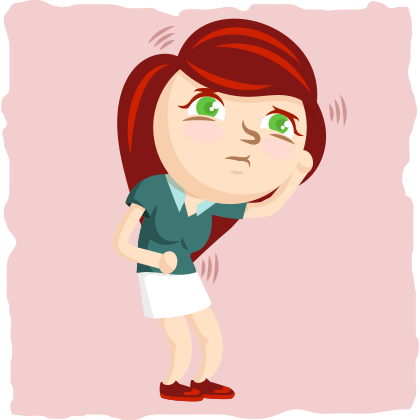 If you just eat meat and small amounts of vegetables, however, you are likely to create digestive issues for yourself. Eating less fiber will create significant changes in your gut bacteria that will cause inflammation, constipation, and/or diarrhea. This can be remedied by consuming high fiber vegetables, nuts, and seeds with every meal like leafy greens and flax seeds. When you achieve your goal of burning fat for fuel, your body will produce acetone — the main cause of bad breath on a low-carbohydrate diet. Acetone is a by-product of ketosis, and it can leak out of your breath and sweat when you first get into ketosis. How bad you smell, however, depends on how your body handles the by-products of fat burning. Some of us may never get bad breath from being in ketosis, while others will take weeks to adjust. For those who have bad breath, it is best to mask it with herbal mint sprays and gum (without sugars), adequate fluid and salt intake, and good oral hygiene. In the same way that we have adapted to handle a diet that has carbohydrates, our bodies have the ability to thrive when carbohydrates are restricted as well. The body can use carbohydrates, proteins, and fat for fuel depending on what is available to it. But it is important to realize that each source of fuel creates different effects in the body. Low-carbohydrate diets cause you to lose vital minerals and fluids, which can lead to fatigue, weakness, headaches, dehydration, constipation, and diarrhea. This is why it is important to increase your water, salt, and mineral intake when you start a low-carbohydrate diet. Other than the threat of dehydration and mineral loss, it is important to consider issues like bad breath and gut health. Bad breath is an unfortunate side effect of ketosis for some people, but it is likely to go away once the body adjusts to the byproducts of ketosis. This usually happens within a couple weeks. Gut issues like constipation can also be experienced when your diet is lacking fiber from non-starchy vegetables, nuts, and seeds. Just because you are not eating many carbohydrates doesn’t mean you should only eat meat. Make sure every meal has high fiber foods to help you maintain gut health. Long term side effects are much rarer, but if you experience fatigue and weakness that isn’t linked to mineral loss or dehydration then it is important to check your thyroid function. In general, you will experience little to no side effects if you have enough fat, protein, salt, water, fiber, vitamins, and minerals in your diet. There is, however, one important caveat that I didn’t mention (yet). Women’s health requires special consideration, especially on low-carbohydrate diets. This article would not be complete without considering two important issues that are unique to women — menses and pregnancy. These are 2 factors that can lead to a need for increased carbohydrate consumption. If you plan to increase carbohydrates, try to choose complex carbs from natural sources like fruits, sweet potatoes, and starchier vegetables. Remember how we explored how low-carbohydrate diets can be a stressor to the body? For women, this is doubly true. Hormones that start and maintain the menstrual cycle decrease in response to having too few calories, too few carbs, too much stress, or too much exercise. This can lead to amenorrhea, which is when a woman has no menstrual cycle for 3 or more months. Low-carbohydrate diets also lead to lower leptin levels, a hormone produced by fat cells that regulate appetite in men and women. Studies that were done on women, however, suggest that low levels of leptin can cause irregular menstruation as well. How often low-carbohydrate diets actually cause menstrual problems is unclear and not well documented. In general, if you are eating correctly (and enough), you should not have any problems. That said, menstrual irregularities are something that women should be mindful of while they are on a low-carbohydrate diet. If the low-carbohydrate diet is causing menstrual cycle irregularities then it is best to increase carbohydrate intake until the menstrual cycle is back to normal. Experts suggest that women consume around 75 to 150 grams of carbohydrates per day — an amount that may still be low enough to get all of the benefits of a low-carbohydrate diet. After understanding how important carbohydrates are in keeping a woman’s menstrual cycle normal, it is reasonable to think that restricting carbohydrates during pregnancy will cause issues as well. Studies suggest that this contention is true. One study concluded that a low-carbohydrate, high-protein diet during late pregnancy may program the child to have higher than normal levels of cortisol. This can lead to a greater incidence of depression, disease, and obesity. Other studies that were done on pregnant mice found that the ketogenic diet created many organ irregularities like a smaller brain and larger heart. Although the literature is scarce when it comes to the effects of low-carbohydrate diets on pregnancy, it is likely better for pregnant women to increase their carbohydrate intake during pregnancy. The Institute of Medicine recommends a minimum of 175 grams of carbohydrates per day during pregnancy. 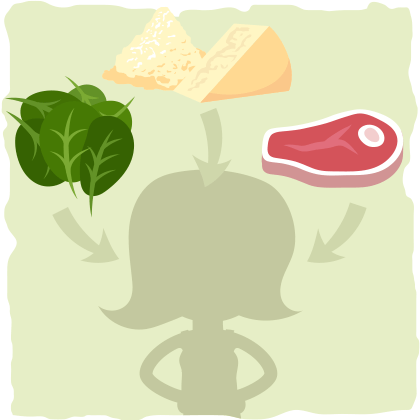 Sometimes a ketogenic diet can lead to menstrual cycle irregularities. If you are experiencing this, it’s better to increase carbohydrate consumption until you are experiencing normal cycles. 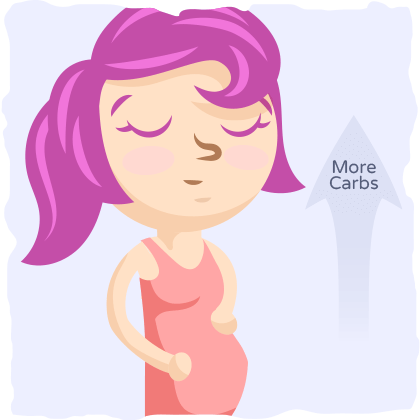 A pregnant woman and her child may benefit from a slightly higher carbohydrate intake. A minimum carbohydrate consumption of 175 grams per day is suggested for healthy child development during pregnancy.